With Ewan McGregor already set to play the adult Danny Torrance in The Shining sequel Doctor Sleep, Rebecca Ferguson is in talks to star in an unspecified role. Given the limited amount of female roles in the 2013 Stephen King novel, there are two possibilities of who Ferguson could be playing, either Rose the Hat or possibly Sandy Reynolds. It's also possible that the actress could be playing a character created specifically for the movie, but no details have been confirmed at this time. Doctor Sleep follows the Danny Torrance character from The Shining as an adult, who, even after all these years, remains traumatized by the events that took place at the Overlook Hotel when he was just a boy, while battling alcoholism. He ultimately meets a young girl, discovering that he can use his "shining" powers he developed at the Overlook, to help her. Sandy Reynolds is the girl's grandmother, who died in a car accident long before the events of the story. Rose the Hat, however, is a much bigger role within the story and it could be who Rebecca Ferguson is playing. Rose the Hat is the main villain in Doctor Sleep, who is the leader of a group of witches known as The True Knot, who feed off the energy created by children who know how to "shine," like Danny Torrance. No other cast members have been announced at this time, and there is no indication as to when more characters and actors are announced. It also isn't clear when production will begin yet, but that may not happen quite so soon, since the release date was recently pushed into the year 2020. Still, with this latest casting addition, it's possible more will be announced soon. Mike Flanagan (Gerald's Game, Oculus) came aboard to direct back in late December 2017, working from a script he co-wrote with Akiva Goldsman. Flanagan's producing partner Trevor Macy is producing with Vertigo Entertainment's Jon Berg, with Roy Lee and D. Scott Lumpkin serving as executive producers alongside author Stephen King. The studio has set a January 24, 2020 release date, which is currently the only movie set for release on that date. It will also open a week after Sony's Bad Boys For Life, Warner Bros. Just Mercy and an untitled Universal Pictures event film. 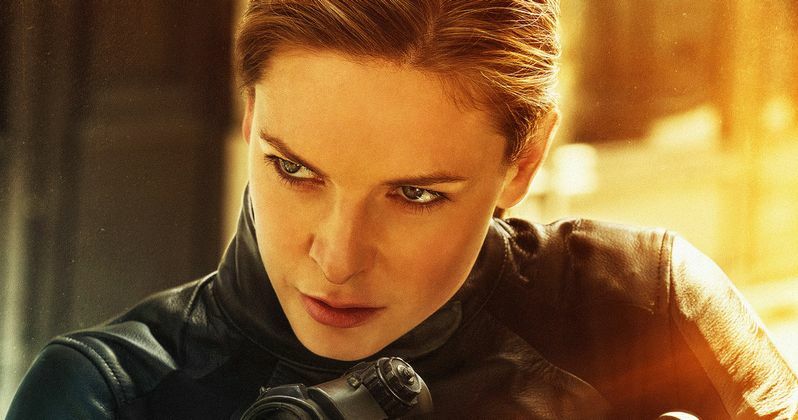 Rebecca Ferguson is coming off a big 2017, where she starred in Sony's Life, Universal's The Snowman and 20th Century Fox's The Greatest Showman. She will next be seen reprising her role as Ilsa Faust from 2015's Mission: Impossible Rogue Nation in next month's Mission: Impossible Fallout, in theaters July 27. She is also starring in The Kid Who Would Be King, with Tom Taylor and Patrick Stewart, which is slated for release on March 1, 2019. While we wait for more casting details from Doctor Sleep, you can head over to The Hollywood Reporter for their full report on the Doctor Sleep casting.